All it took for me to be interested in Surrender (the new perfume from sample/decant retailer Surrender to Chance) was learning it contained petrified hyrax urine (hyraceum).1 It didn't hurt that Surrender was developed by perfumer AbdesSalaam Attar (Dominique Dubrana) of La Via del Profumo (one of my favorite perfume lines). If anyone reads "petrified hyrax urine," cringes, and marks Surrender off his perfumes-to-try list...DON'T! It's an interesting fragrance. Surrender opens with glorious, "fizzy" jasmine (a note AbdesSalaam Attar must love; it's in so many of his creations). At first, Surrender smells (mostly) like a jasmine soliflore (though if you put nose to skin, you'll detect an earthy "root" note and licorice). In mid-development, which arrives quickly, the hyraceum note reveals itself...but subtly; it adds depth/gusto to the floral sweetness in Surrender's heart. 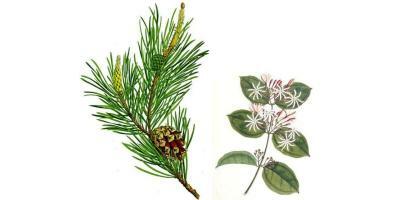 Hyraceum blends well with jasmine's indoles and has a waxy aspect, but a "mineral" vibe, too. Surrender ends in two parts: Part I with a floral-musk flourish — the flowers and musk become darker, more daring, with a hint of smokiness; and Part II (the extreme dry-down) as Surrender become a "soliflore" once more (solimusc?) when hyraceum dominates (it smells of dried urine: wild and animalic/furry). This gutsy note stays close to skin; you won't "broadcast" musk to those around you. Surrender is suitable for men as well as its female target audience (the fragrance was inspired by brides and weddings...and wedding nights). If I didn't know anything about Surrender's creation, I'd have assumed it was a masculine scent. Coldwater Canyon (made to evoke "wild" Los Angeles) also commences with jasmine, but jasmine flowers on sticky pine needles (with their natural vegetal musk aroma). Jasmine and pine fight for dominance but it's a draw (decided by referee "Sage," who, truly, takes center stage). Coldwater Canyon is a simple fragrance but would be a welcome change from standard Eaux de Cologne in spring and summer (and an excellent reminder of spring and summer for those of us living through winter). As Coldwater Canyon develops further it becomes more herbal and herbal-musky (but jasmine never disappears). Surrender and Coldwater Canyon have good lasting power and sillage; I enjoy them both (and the pricing is reasonable); both perfumes are available at the brand website, in sizes from 1 ml to 15 ml ($5.49-$65.88). 1. 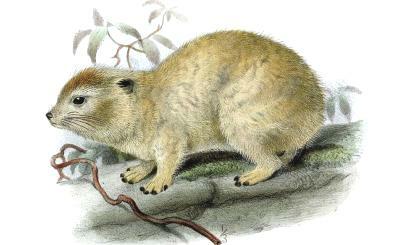 If you want to know more about the hyrax and perfumery, read this article at La Via del Profumo. Note: top image of hyrax and middle images of pine and jasmine [both altered] via Wikimedia Commons. How is Coldwater Canyon compared to Caligna, do you know? I like Caligna..but could go without the fig note. I’ve been wanting to try these but hadn’t gotten around to it yet. I’m especially interested in Surrender because I’ve recently discovered that I really like hyraceum. I bought some hyraceum tincture from Mandy Aftel’s website (not terribly expensive either), and it’s really interesting stuff. To me it’s kind of smoky/leathery with a little sweet hint and a bit of funk. sweetgrass…then you certainly should try Surrender! Hyraxes are such interesting, cute, and strange (those feet and those incisor tusks!) little creatures. Packrat waste may be a perfume ingredient one day!